Ancient birthday traditions made way for modern birthday celebrations. 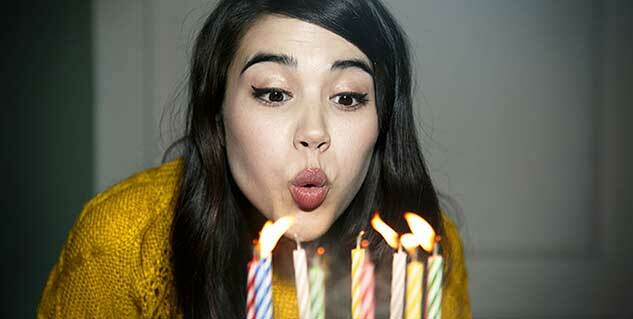 The Germans and Greeks are the main contenders for the origins of the birthday candle tradition. The Pagan society would cheer in joy so as to ward off evil spirits on birthdays. The single candle at the centre of a cake was known as the “light of life”. Birthdays are magical and special for everyone. It is after all the day of your birth. The very first thing that comes to our minds is a traditional birthday cake, adorned with candles and the customary icing wishing with the person’s name on it. 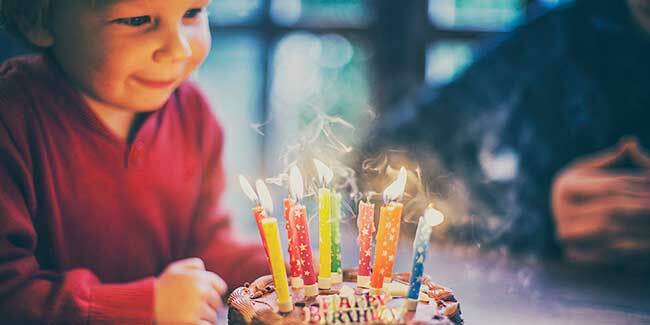 Of course there are the gifts and loads of fun associated with a birthday, but have you ever wondered why do you blow a candle off in celebration? The tradition of course dates back to the ancient Roman times, but the whys and hows are definitely intriguing to us. To think of it, there has to be some reason, after all everything has its own reason. So before you celebrate the next big birthday bash, you should try and find out the reason for blowing off birthday candles, and then may be impart this knowledge onto your friends and family! Here we shall talk about the most interesting custom of blowing off birthday candles. The Greeks of course had many astonishing traditions; one among them was the tradition of putting candles on a cake on birthdays. This was just a very special way to actually pay tribute to the Greek moon goddess, Artemis. Yes, and this is also why the cakes were baked in round shape, to as to represent the shape of the moon. These days, modern cake-makers have broken away from the tradition and started creating cakes of all shapes, including square and rectangle. We wonder if it annoys the Greek moon goddess Artemis! The candles were actually added in order to represent the reflected moonlight. Isn’t that fascinating? Yet another theory suggests that the tradition began in ancient Germany, when in the year 1746, Count Ludwig Von Zinzindorf had celebrated his birthday with much pomp and show, and there was a cake along with candles. Legend has it that the cake was as big as the oven that baked it, and there were holes made in the cake in accordance to the Count’s age, and each of those holes had a candle stuck in. There was also one candle right in the middle of the cake. Also, the Germans apparently celebrated a birthday celebration for children in the 1700s, known as Kinderfest, and this celebration saw cakes with candles. These are of course not the only theories, as in Pagan culture it was a belief that evil spirits paid visits to people on their birthdays, and so people would surround the person and be merry. The guests would make such a lot of noise that the evil spirits would get scared and stayed away. This of course is today a part and parcel of birthday celebrations, as the birthday boy/girl blows candles off and people cheer with joy!